Our Youth Ministries Board oversees the youth activities of our state in several annual venues. They sponsor the Annual SCM (Student and Children's Ministries) Music and Arts Festival. This event includes competition in Bible, Music, Drama and Art. 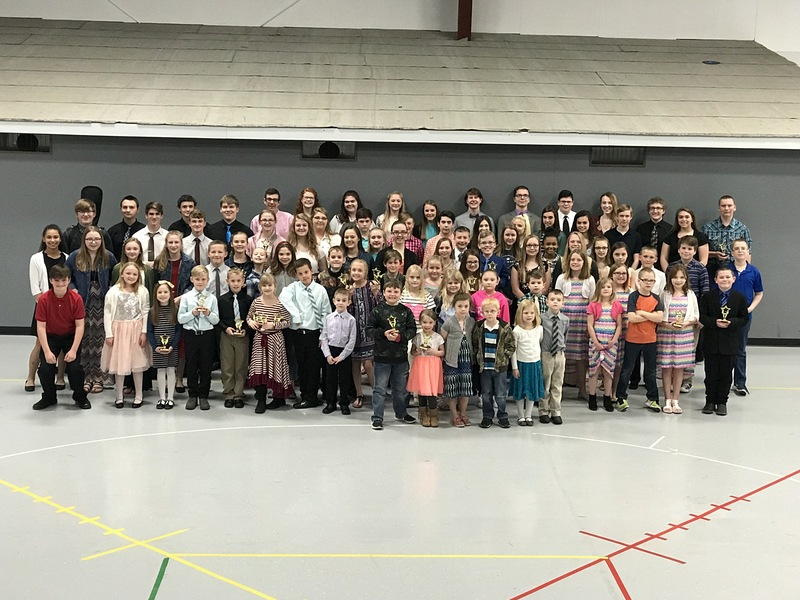 Over 100 students compete for the opportunity to represent Missouri churches in the National SCM Competition. This is a highlight of the National Association of the Free Will Baptist annual meeting each year in July. They also sponsor the E-3 Conference (formerly State Youth Retreat) held each November at Windermere Retreat Center at Roach, MO. Located on the Lake of the Ozarks, the retreat features nationally known speakers and musicians for the students of Missouri and neighboring states. The 2019 Expo was held April 5-6 at First FWB Church in Mountain Grove. Ryan Akers at ryan@cfcfenton.org or 636-484-0277. “Like” MOFWBYouth on Facebook. We will post updates, news & other information that pertains to the Ministry Expo including hotel arrangements and a rough schedule of the event. The 2018 CTS EXpo was held on APRIL 6-7 at FELLOWSHIP FWB in PARK HILLS, MO. A recap of the event and list of finalists will appear in the July/August issue of the GEM Magazine. For a printable list of the CTS National Qualifiers click HERE. For a group picture taken at competition click HERE. National CTS Ministry Expo - Missouri Student Results click HERE. - 2017 MO CTS Ministry Expo recap and results list CLICK HERE to view. To download a copy of the group photo CLICK HERE. - 2017 National CTS Ministry Expo - Missouri Student Results click HERE.